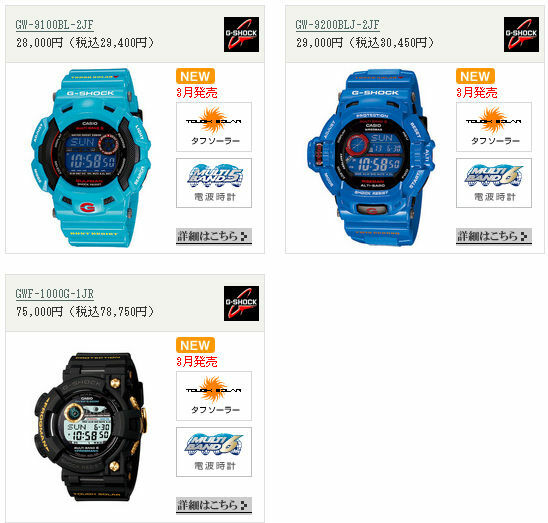 Casio Japan has posted 13 new G-Shock models for March 2010 release. There’s a whole slew of GA-100 and GA-110 Hyper Colors watches, along with the new Men In Earth Blue series, a couple new GIEZ models and a new GWF-1000G Frogman. There’s a little bit for everyone in this batch. The colors are all over the place from classic black to bright and glossy day-glo rainbow. 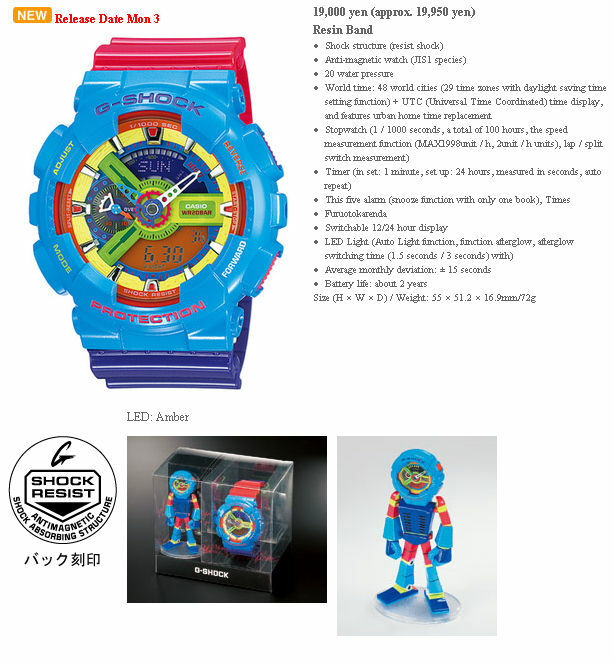 The limited edition GA-110F-2JR comes with with a matching rainbow flavored G Man. T.I. x AKOO x Casio. Just in time for his release from jail/house arrest, T.I. and his AKOO Clothing line have partnered with Casio for the official AKOO G-Shock Chronograph. The watch is set to release in stores March 15th and is AKOO’s first step into accessories. “We’re excited about the opportunity to collaborate with G-Shock. The AKOO edition is an extension to their consistent track record. We can’t wait for our AKOO family and customers to get their hands on it” stated AKOO prez Jason Geter. The watch will be priced at $180 and is limited to 1,ooo pieces so make sure to get yours fast once they hit the streets.